Custard apples, also well known as ‘sharifa‘ or ‘sitaphal‘ in Hindi, ‘Seetha Palam‘ in Telugu, ‘Seetha Pazham‘ in Tamil, ‘Sita Pazham‘ in Malayalam, ‘Sitaphala‘ in Marathi, ‘Sita Phal‘ in Gujarati and ‘Sharifa‘ in Punjabi. Custard apples are rich in anti-oxidants like vitamin C, which help get rid of free radicals from the body. It is also rich in calcium, magnesium, iron, niacin & potassium. 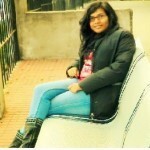 This post on benefits of custard apple will change your mind. 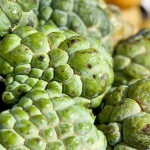 Custard apple, also known as chermoyas and are native to South America, West Indies and some parts of Asia. The fruit is soft and chewy with a hard exterior. The flesh is white in color and has a creamy texture. The pulp coats black shiny seeds that are not consumed, as they are slightly poisonous. Custard apple with its high calories and natural sugars are great as a dessert and as a nutritious snack. The fruit can be consumed just by itself or in the form of shakes, smoothies, deserts and ice cream. Moreover, this tasty fruit is an excellent alternative to dairy products, making it perfect for those who are allergic to dairy products as it provides the same nutrition. 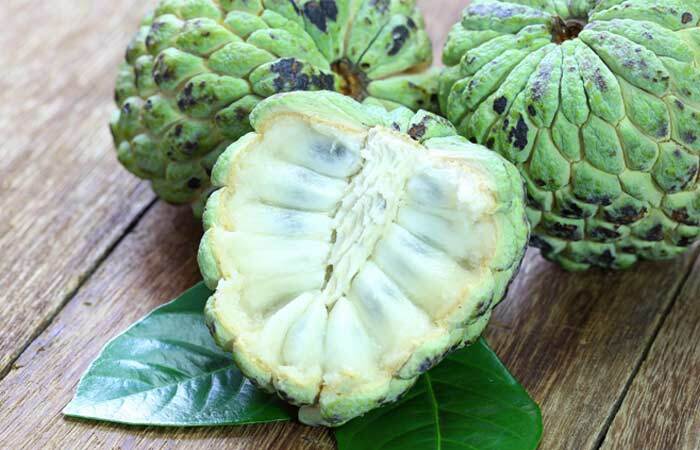 Check out some of the best health benefits of custard apple. Thanks to the high-levels of vitamin A, custard apple is great for healthy skin, healthy hair and better eyesight. It plays a role in moisturisation and anti-aging. The creamy flesh or pulp can be used as a balm to treat boils and ulcers. The outer skin of custard apple is helpful in combating against tooth decay and gum pain (1). Custard apples are good for those who need to gain weight. A mixture of honey and custard apple when consumed regularly will help add on the required weight and those much required calories. All in the healthy way (2). The magnesium content in custard apples helps defend the heart from cardiac attack and can help relax the muscles. Moreover, vitamin B6 in custard apples help prevent homocystein collection which also minimize the risk of heart diseases. Having custard apple for diabetes is considered very effective. The abundance of dietary fiber in custard apple helps slow down the absorption of sugar and reduces the risk of developing type-2 diabetes. Custard apples are good sources of potassium and magnesium which help keep the blood pressure levels in control. For those with fluctuating blood pressure levels, a custard apple fruit a day will help keep them in control. Hope you liked our post on custard apple benefits. Forget counting the custard apple seeds, instead, start counting the health benefits and relish the creamy fruit. Leave a comment below to share your views.